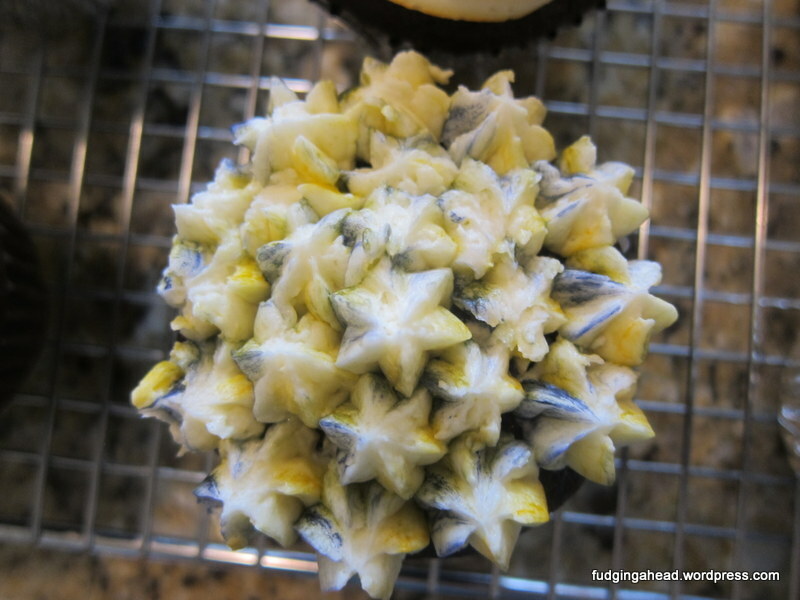 On Wednesday, I shared a cupcake recipe that you could make ahead. 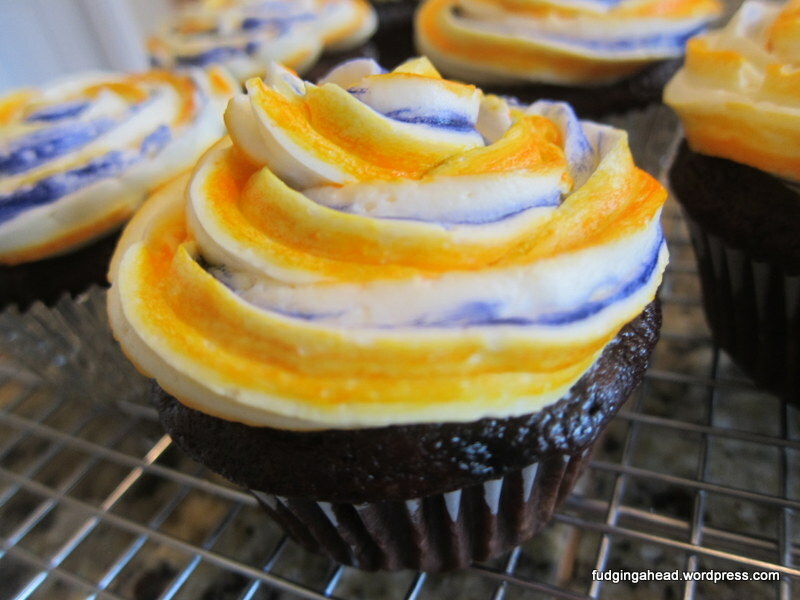 This frosting pairs perfectly with the cupcakes because it is a bit sweet, and the cupcakes aren’t. 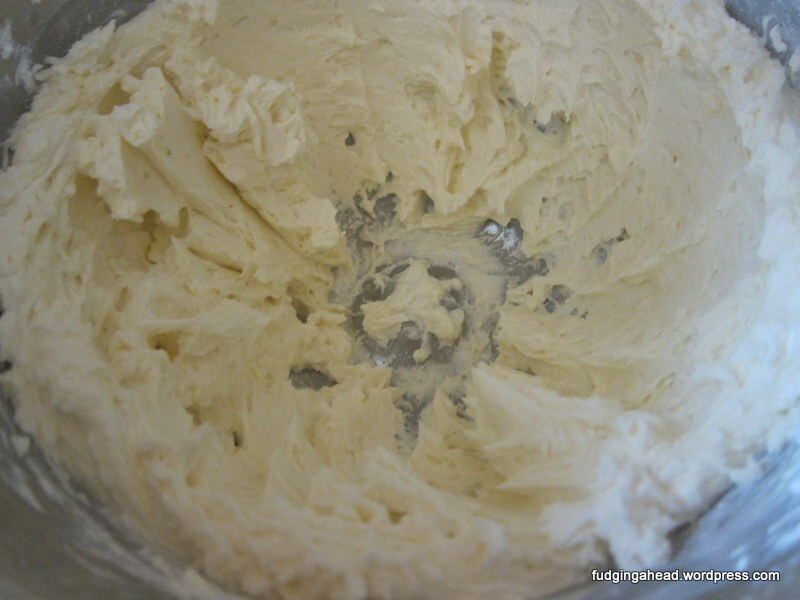 It is another fairly easy recipe, although not the easiest frosting recipe. At the same time, it piped just as I wanted it to, so I will take slightly complicated if my frosting is easier to work with. By the way, there was no real thought to the colors. I wanted something cheerful (orange) and I wanted purple because I like purple. I figured the orange kept it from being too girly since I was serving these for a friend who helped us hook up our generator and thought he would appreciate gender-neutral cupcakes. You could easily make these with your sports team’s colors, or let people decide if you’re having a boy or girl (blue and pink frosting together). Hmmmmmm. Ideas! Also, I would like to share again (again if you follow me on Twitter, that is), how excited I am to be visiting Boston for the first time ever! 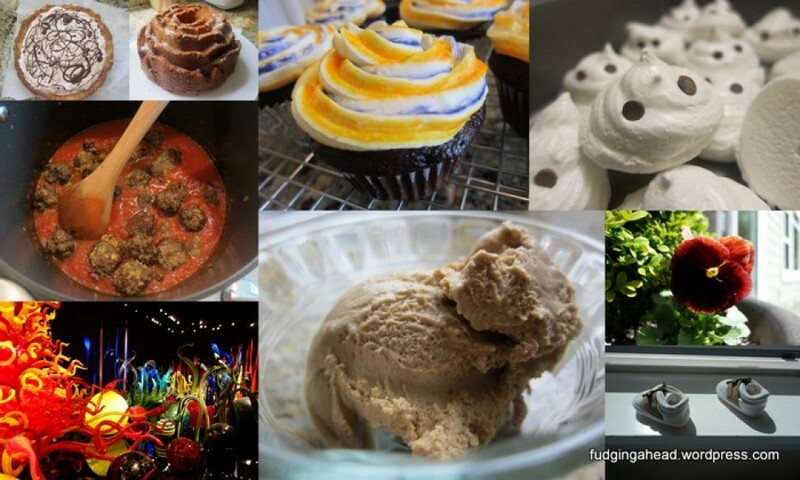 We leave in April and I hope to check out the bakery where I got this recipe, and the one for the chocolate cupcakes. I asked for the cookbook in anticipation. Have you been to Boston before? 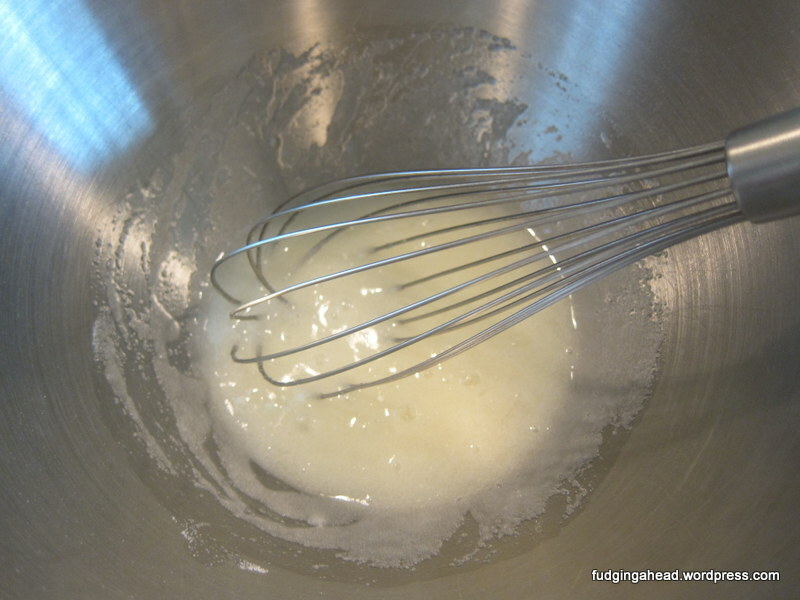 In your mixer bowl, or in a different heatproof bowl, whisk together the granulated sugar and egg whites. Then, make a double boiler with a saucepan of simmering water. 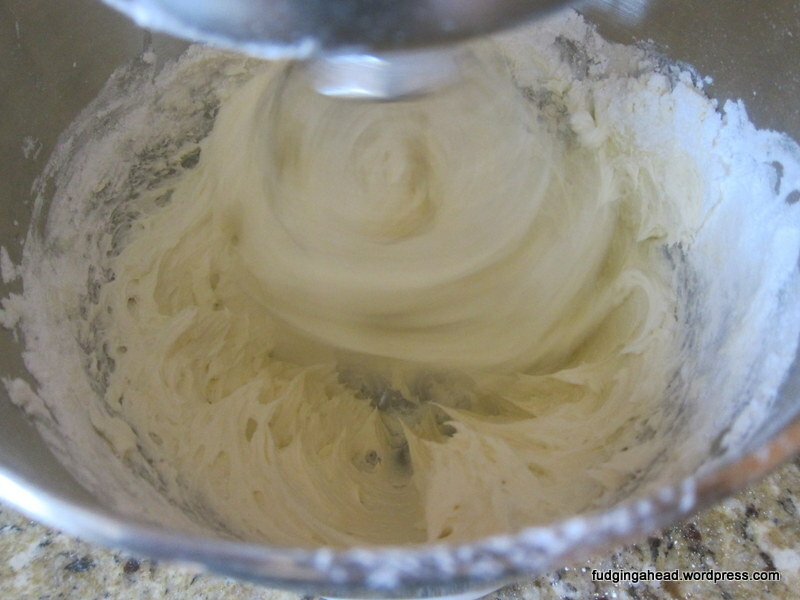 Heat the mixture, whisking occasionally for 3-5 minutes until the temperature reaches 140 degrees. The sugar should dissolve as well. 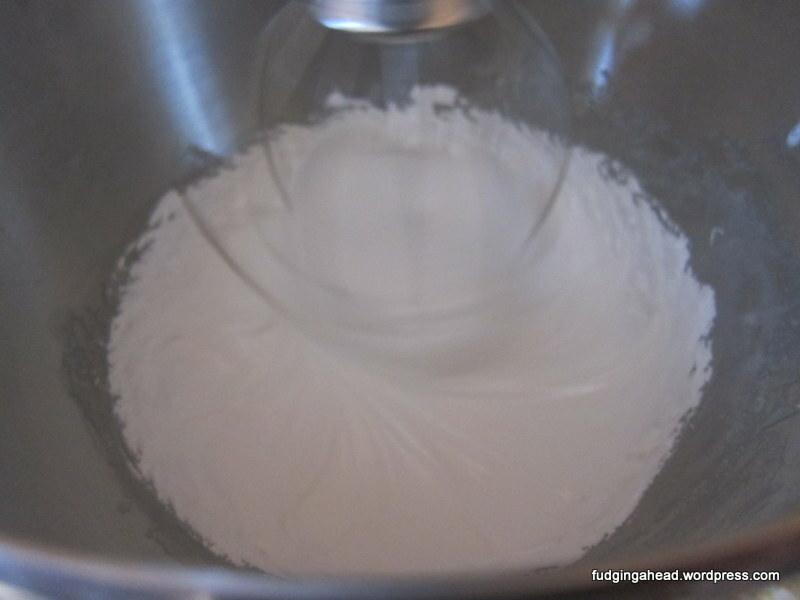 Use a stand mixer with the whisk attachment and whip on medium-high for about 5 minutes until the mixture becomes a meringue that is cool to the touch. When you first start mixing, it will look like this. Lower the speed to medium, then add the butter a few pieces at a time. Continue beating until the butter is incorporated. Add the confectioner’s sugar, salt, milk, and vanilla. Continue to beat until the mixture is smooth. You can use the frosting immediately, store at room temperature for up to 3 days, or store in the refrigerator for 2 weeks. To use after storing, have it at room temperature and paddle with the mixture until it is smooth again. 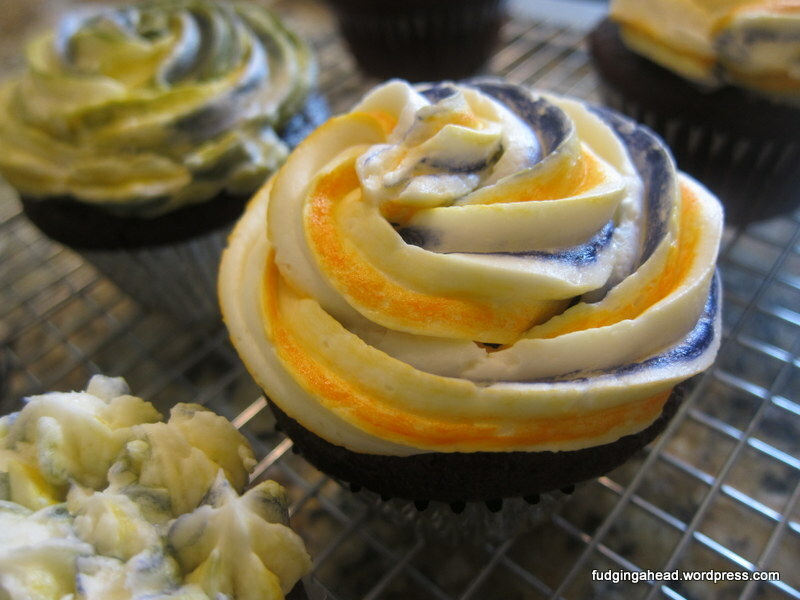 To get striped frosting, use a toothpick with gel frosting, or a paintbrush that is safe and reserved for food. 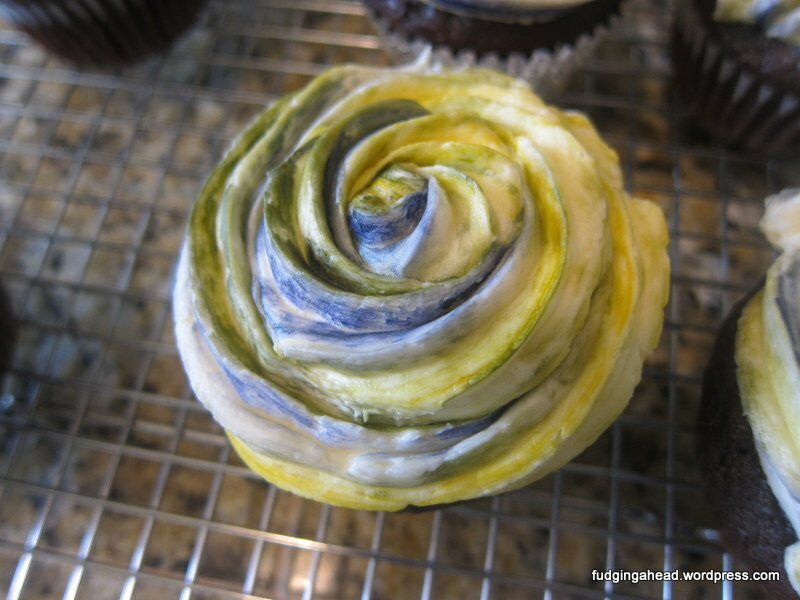 Paint stripes of your colors insides the pastry bag, being careful to not smear with your hand. You can do as many stripes as you like. 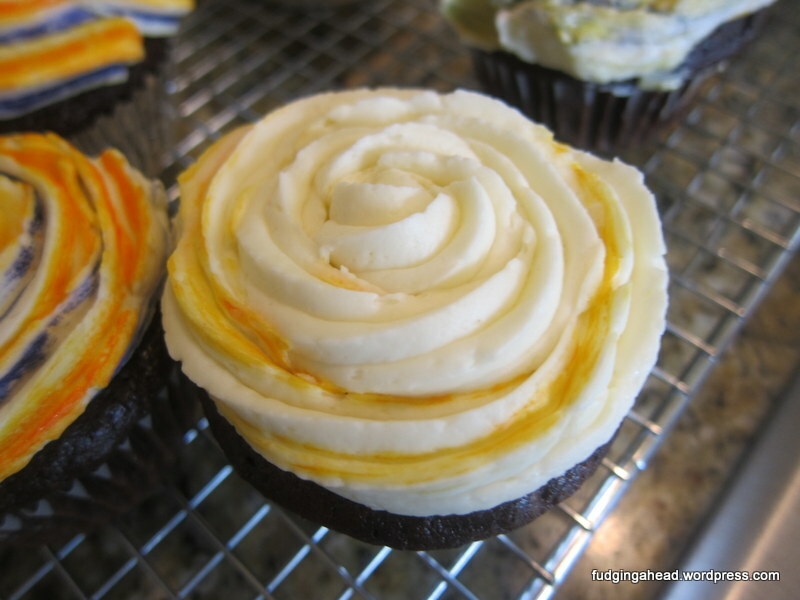 Then, fill with the frosting before piping out onto the cupcakes. The first bit of frosting won’t be as striped as the rest. If you need to refill the bag with frosting, the colors will smear a bit. You can either use another bag, or go with a different look for the remaining cupcakes. 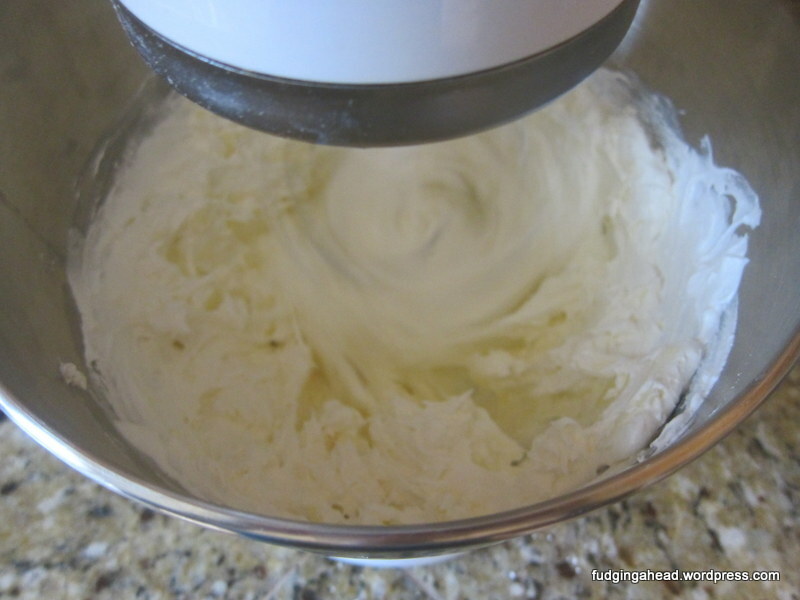 Use a stand mixer with the whisk attachment and whip on medium-high for about 5 minutes until the mixture becomes a meringue that is cool to the touch. Lower the speed to medium, then add the butter a few pieces at a time. Continue beating until the butter is incorporated. 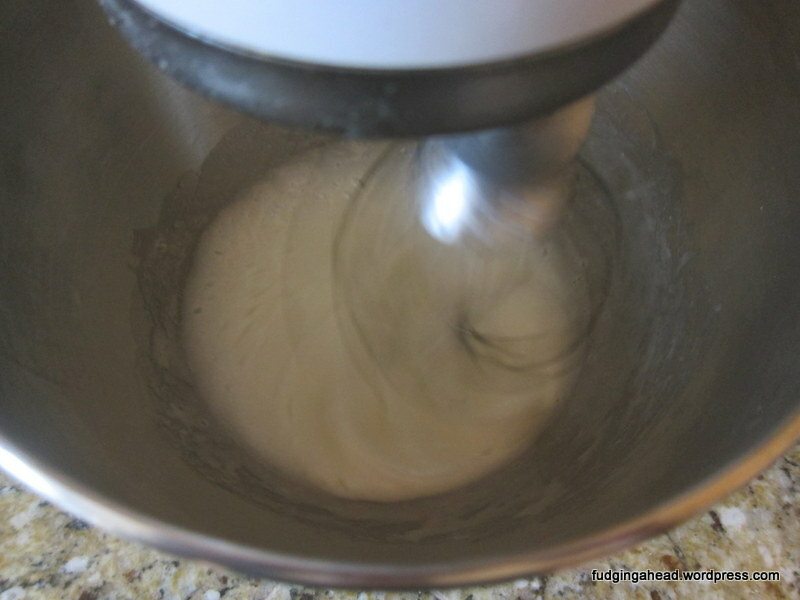 Add the confectioner’s sugar, salt, milk, and vanilla. Continue to beat until the mixture is smooth. 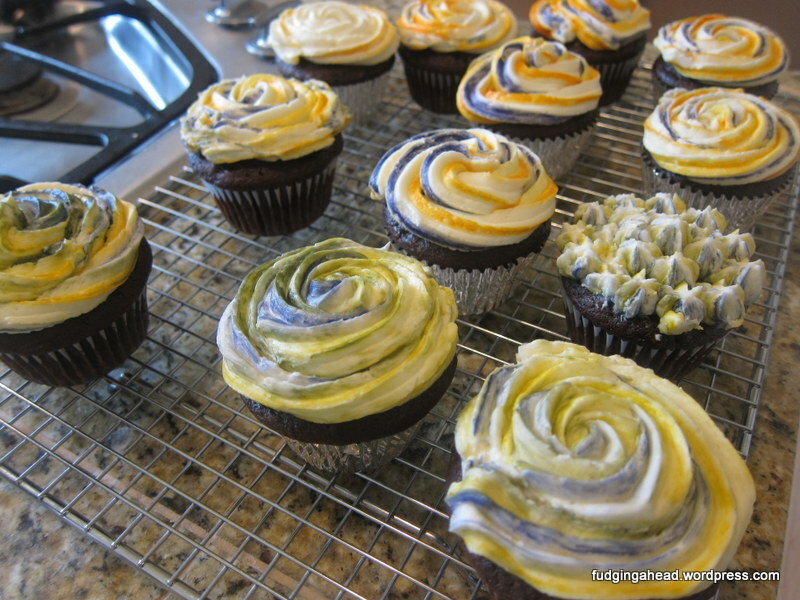 To get striped frosting, use a toothpick with gel frosting, or a paintbrush that is safe and reserved for food. 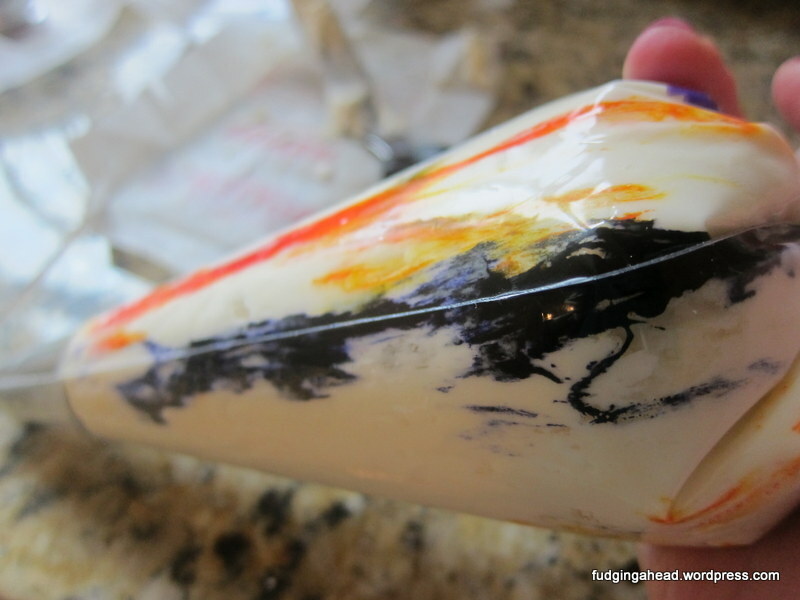 Paint stripes of your colors insides the pastry bag, being careful to not smear with your hand. You can do as many stripes as you like. Then, fill with the frosting before piping out onto the cupcakes. 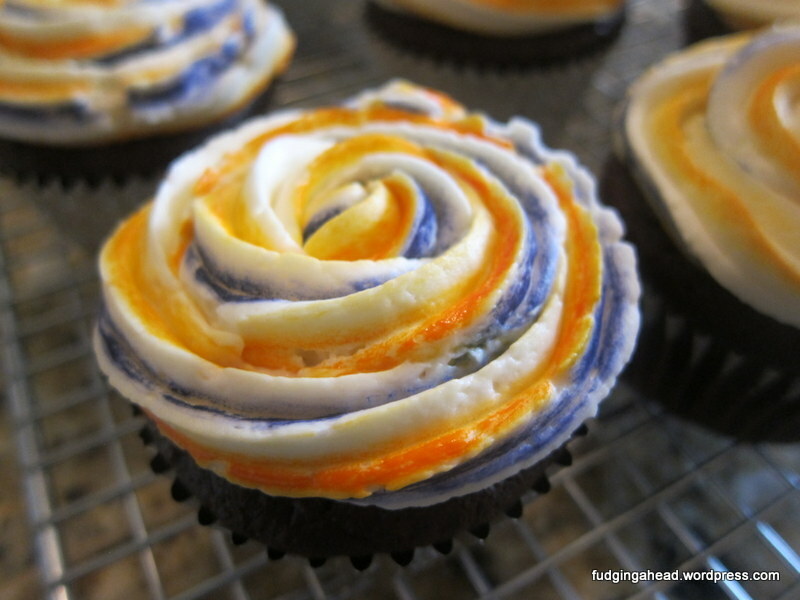 The first bit of frosting won’t be as striped as the rest. If you need to refill the bag with frosting, the colors will smear a bit. You can either use another bag, or go with a different look for the remaining cupcakes.